Since 1993 TLX has been investing in the research and development of high performance multifoils and TLX Insulation is a testament to this. Manufactured in Lancashire, TLX Insulation products boast BBA certificates and approval by The Carbon Trust. Over 25 years of experiences goes in to manufacturing TLX Silver and TLX Gold and this becomes apparent given the performance of these products and their long standing favour in the construction industry. Both TLX Silver and TLX Gold are multifoil insulation products, formerly known as Thinsulex, that offer very low u-values for their thickness. TLX Silver is just 30mm thick and weighs 8kg for a 1200mm x 10m roll. 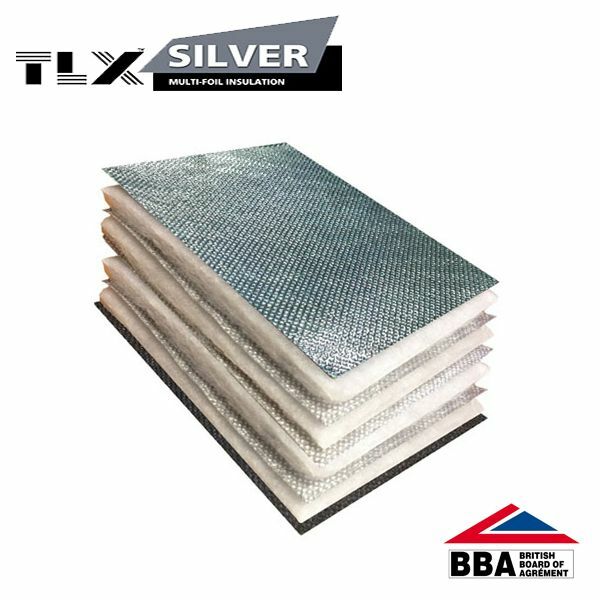 Installed under and over rafters, TLX Silver can be used in new builds, refurbishments and a host of conversion projects in 100mm and 150mm rafter installations. When installed according to the BBA certification that this product has, this product can be used to achieve 0.18 u-value. TLX Gold weighs in slightly heavier at 10.8kg for a 1200mm x 10m roll and at 33mm thick it's made up a 7 layer composite structure which incorporates a breathable layer. 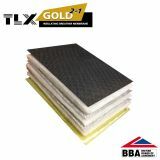 Replacing the roof underlay and acting as a breather membrane, TLX Gold produces exceptional results.